Both of our local mountains, the Penken action mountain and Ahorn leisure mountain with 58 modern lifts, are only a 1-minute walk from the Platzhirsch. It doesn't get any more convenient than this! You can carve down 139 kilometers of slopes equipped with snow machines in the middle of the gigantic peaks with elevations over 3,000 meters. Snow is guaranteed on the Hintertux Glacier, which is open year-round and is only 15 km away! 30 km of cleared and prepared hiking paths invite you to enjoy Nordic walking or a leisurely winter walk. 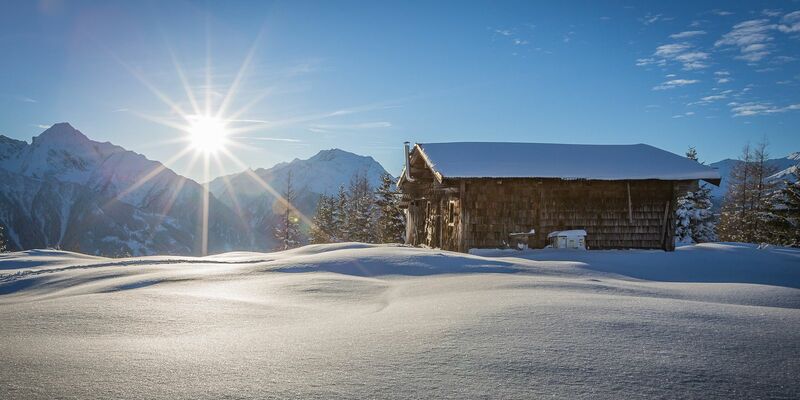 On a guided snowshoe hike, you can experience the Zillertal winter landscape in all its facets. Quiet, snow-covered forests, winter cold, and sun - simply take a deep breath and head out into nature. Are you not a fan of the mountains but still like to ski? 30 km of cleared trails offer the best conditions for skating and classic cross-country skiing. For those who still have energy in the evening, there is a floodlit trail at the Burgschrofen available for free. You can climb up on foot or take a taxi up to numerous toboggan runs. After a stop for refreshments in one of the many romantic mountain huts replenished with energy with mulled wine and a delicious snack, you can dash back down on toboggan into the upper Zillertal through the forest. Simply magnificent! A 1,500 m² artificial ice rink in Mayrhofen is the perfect place to make graceful pirouettes or try out a fun game of ice stock. Fun for the whole family and a relaxed alternative to the slopes. Ice skates can be rented on-site. Discover the fascination of ice climbing. Mayrhofen offers fearless mountain climbers countless frozen waterfalls, where you can learn technique with the professional guidance of action guides. Climbing on ice formations and frozen waterfalls is only possible with previous knowledge of alpine climbing. On cold winter days, you will find relaxation on a water surface of 3000 m². The 3 slides will excite both kids and the young at heart. The sauna world with all the bells and whistles will work wonders after a long day.